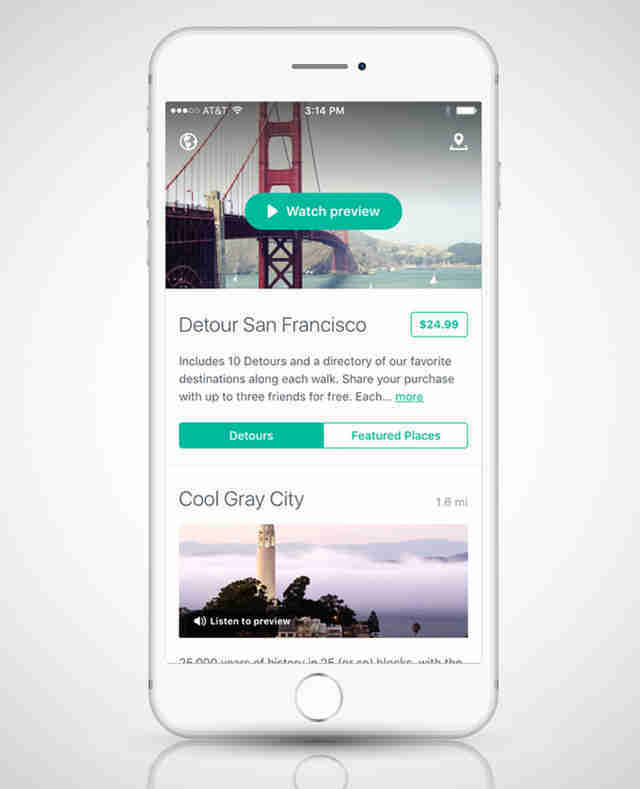 You know how the first thing anyone in SF wants to tell you about is their super cool app? And how you never, ever want to listen to them because ohmygod not another one zzzzzzzz? Yeah, we’re with you. Except when it comes to these apps, all of which make your life in the City significantly better. And by “better,” we mean, “lazier,” which is our preferred form of betterness. What, it’s a word. They’ll also get it washed and fill it with gas if you’d like. When you’re ready to leave, just give them a 15-minute heads up. All for an average (ahem) hourly rate of five bucks. 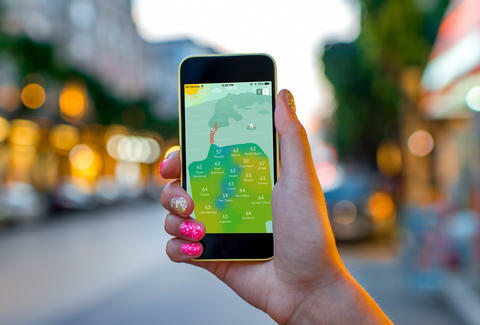 Whether you’re traveling via bus, train, and/or ferry, this app shows you how to get where you want to be, and includes schedules, a detailed map with walking directions, fares, and major landmarks. You’ll never get lost again! (Ha, no, you will, though). You choose which line you want to ride on Muni, BART, Caltrain, or AC Transit, and Routesy shows you the closet stop or station, as well as when the next bus or train is due to arrive. It’s basically like NextBus, but without having to open and refresh your browser. While SpotOn Parking will find you spaces in commercial lots and garages, they also source from participating churches, schools, and driveways, in case you’re trying to park in a neighborhood where commercial lots don’t exist. There’s an “All You Can Park” option where you pay a monthly rate to use all of the spots as often as you want. The rates range from $1-$5/hour and start at $75/month. It’s basically AirBNB for parking: if you want, you can rent out your driveway in exchange for cash, too (and it comes with way less stress about strangers being weird in your home). You already know about Uber and Lyft, but perhaps you’re one of those people who thinks it’s not cool that those services kinda totally exploit drivers and aren’t subject to the same regulations as taxi companies. Well, Flywheel lets you hail a taxi driven by a licensed professional, there’s no surge pricing, and the ride is automatically charged to your card. It’s pretty much the best of both worlds. Like all of the “sharing economy” apps before it, this one is designed to less “share” than get you to part ways with cash or make some extra ducats. You can rent cars from people nearby for a couple of hours (or an entire day) and you can also rent your own car out for some added income. If you’re reading this, you probably live in SF, but you may not actually know the City that well. That’s cool; no judgment. But Detour, a set of 10 hour-long walks, will help you learn so much more about the place you currently call home. And it’ll do so in a way that’s totally different from any other audio tour. Our verdict: worth shelling out for. A curated list of the best concerts, parties, art shows, and events in SF from people who actually live here and do things. So if you’re bored and want to do something fun, this app will give you legit recommendations. You can search for events by category (music, theater, dance, museum, gallery, film, children, literary, and more), see what’s happening on any specific day, and buy tickets. If you’re even slightly into the arts (or... just an art), you need this app. There are definitely too many ads, but this app is good for helping you stay in-the-know about breaking news and what’s going on in SF. Of course, so is Twitter. Make your own call. Fact: sometimes it’s 50 degrees by the beach and 80 degrees in SOMA... at the very same time. Mr. Chilly shows you the current temps -- plus what you can expect for the next 16 hours -- ‘hood by ‘hood. You’ll never leave home without a sweater again. Although why were you doing that in the first place? Mr. Chilly is awesome, but the downside is that it only reports temps, not other weather like rain and fog. 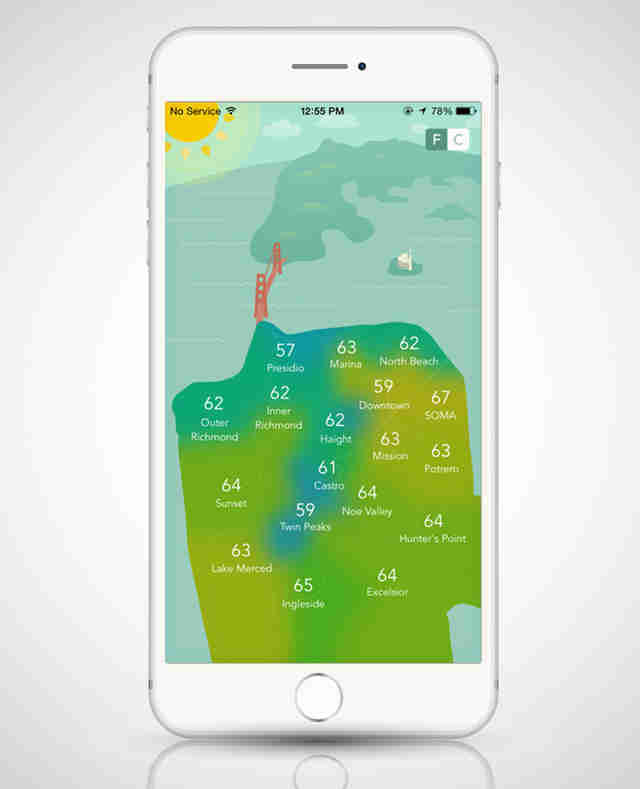 Luckily, SF Climates has you covered on that (cold) front. 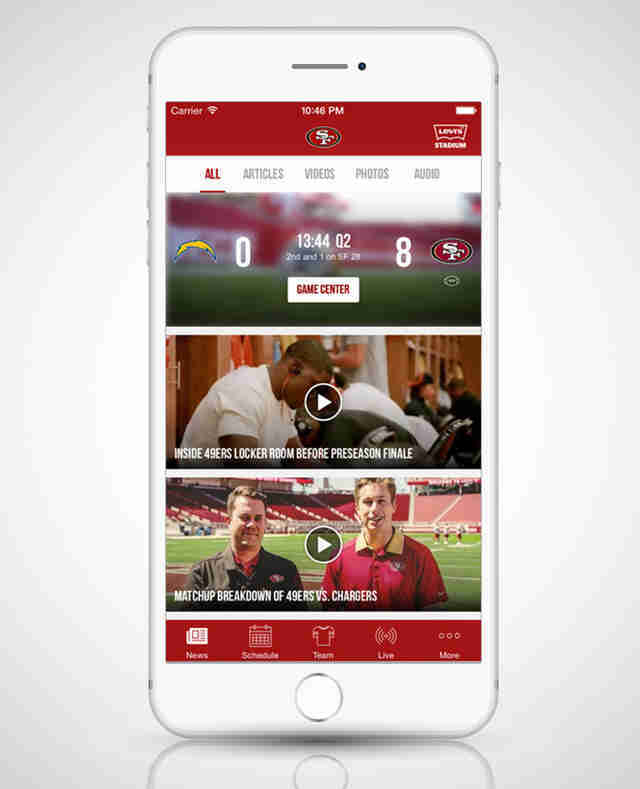 This will likely be the most depressing app on your phone, but it’s a good way to keep track of the train wreck that is the Niners, including news, schedules, standings, and a live 49ers Game Center on Sundays. You haven’t officially jumped on the Warriors bandwagon until you download this app, which basically has all of the information you could possibly want about past and upcoming games in one easy-to-navigate place. If you want a healthy meal that uses local, organic, and sustainable ingredients (and you live in San Francisco, so... you probably do), Sprig is a good choice. Dishes are usually around $11 to $15. When you know you want to chow down on food from a truck, but you’re not sure where the closest or best one is, this app will give you a list of which trucks are where in SF, their hours, and a little description of what to expect. Sometimes (hi, most times), you want to drink, but you don’t really want to leave the house. This is when Minibar comes in handy. 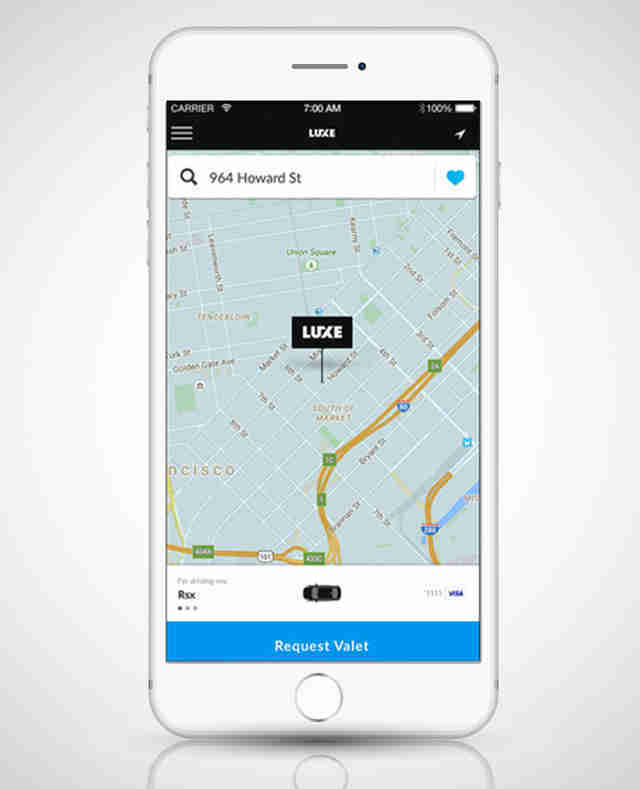 They’ll deliver beer, wine, booze, and mixers to your door in under an hour. They don’t even have a service charge -- all you have to do is be home and tip your delivery person (via the app). 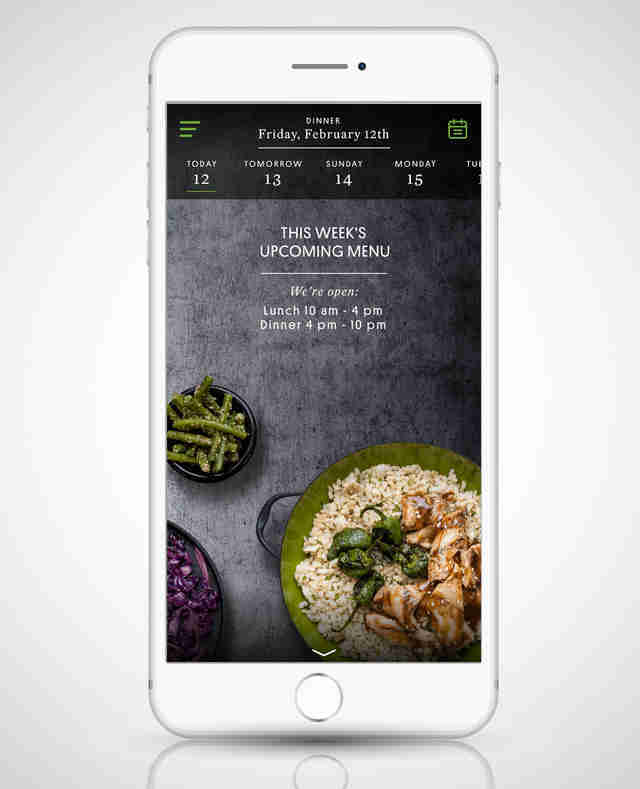 Unlike Spring, this app makes you actually go outside to pick up your meal (yes, that means pants), but SpoonRocket’s dishes are usually around $8 to $10 and relatively healthy. Munchery has a much more diverse menu than Sprig and SpoonRocket, can be ordered ahead of time, and -- mega bonus -- you don’t even need to be home to receive you order. Choose from meals that just need to be heated up, or “cooking kits” that include dinners you can make in 15 minutes. If you’re ordering any of the traditional types of takeout, then Eat24 is a great app. Because seriously, who wants to talk to someone on the phone these days? Sometimes you want food from restaurant that don’t offer delivery service. In those instances, you use Caviar (or Postmates -- see below). It usually takes at least an hour and costs a bit more, but that’s the price you pay for getting the $19 Spruce burger delivered to your front door. 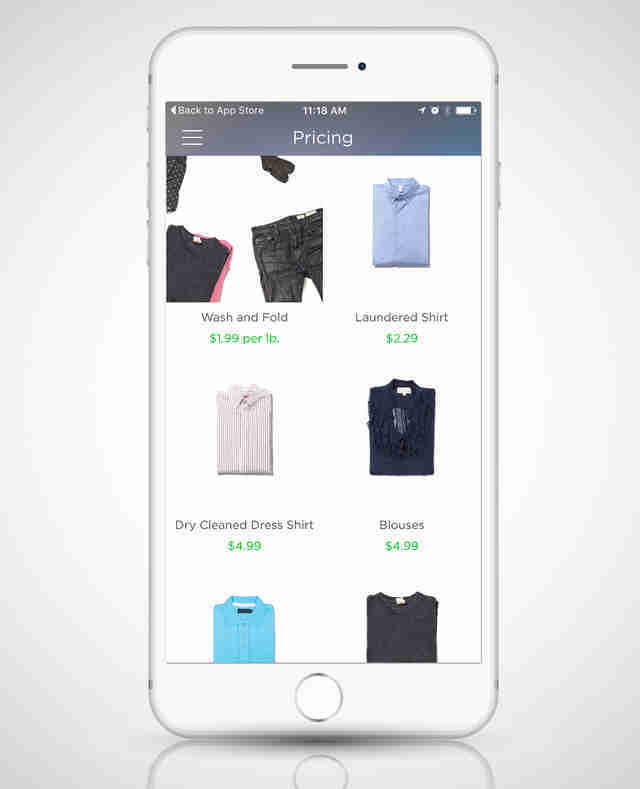 Washio picks up your dirty clothes and dry cleaning, and gets it back to you the next day. Wash and fold is $1.99/lb and a dry cleaned dress shirt runs $4.99. Considering how much stuff you probably order online, there’s a good chance you need to return a bunch of it. Ship literally handles all of it for you and arrives within 20 minutes. All you do is take a photo of what you want to ship, enter the destination, and request a pickup. Most app-friendly people use Postmates to get food delivered, but the truth is, you can basically get anything delivered from any store or restaurant in SF. Just place your order and a courier is dispatched to go pick up your items and bring them to your home. It can get pricey, but the alternative is going out and getting it yourself. Which is clearly not going to happen. Whether you need your apartment cleaned, furniture assembled, a TV mounted, or help moving, Handy will make it happen for you. All you need to do is answer a few questions on the app, get a price, and book your services. So easy. BloomThat is now national, but you can only get same-day deliveries in SF and NYC. Because once in a while -- just once in a while -- it’s not about you. Daisy Barringer is an SF-based writer who loves all of the food delivery options in SF, but misses the deli delivery in NYC. Tell her your favorite app on Twitter @daisy.